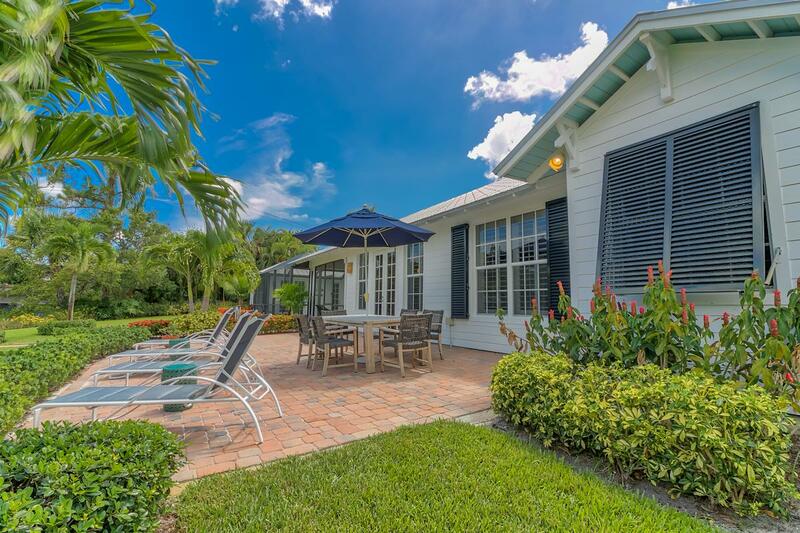 Coastal Creampuff with Massive Curb Appeal. 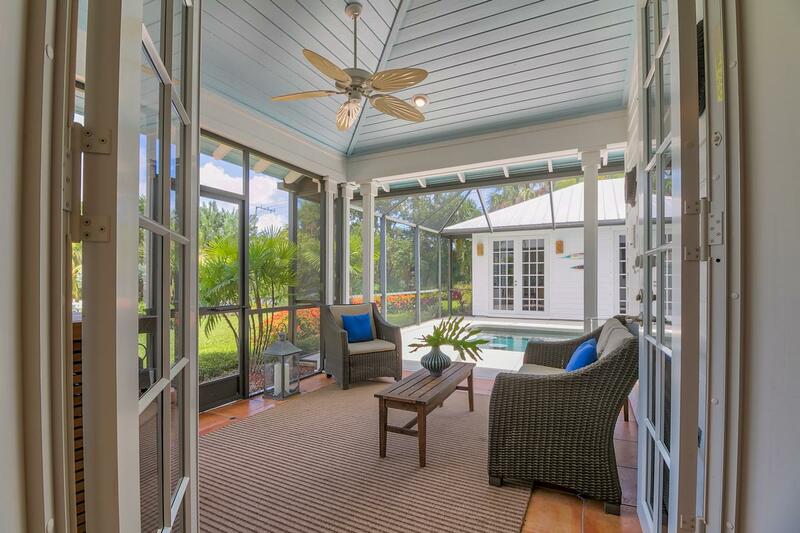 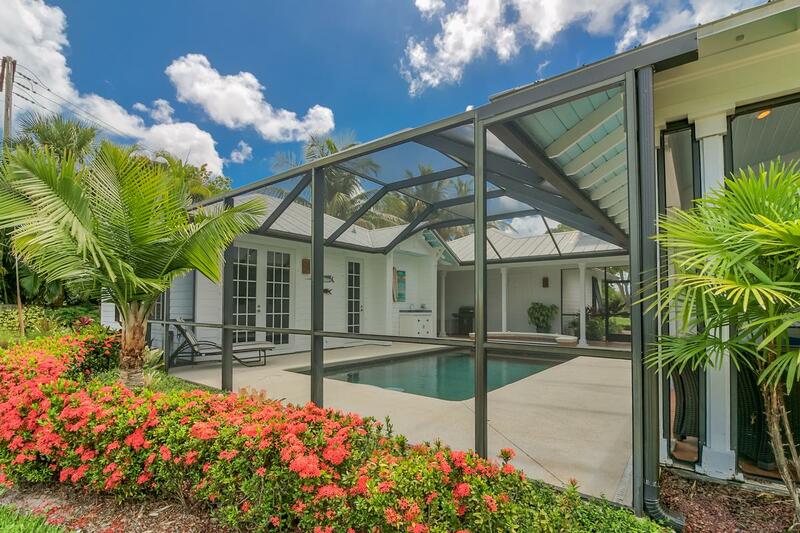 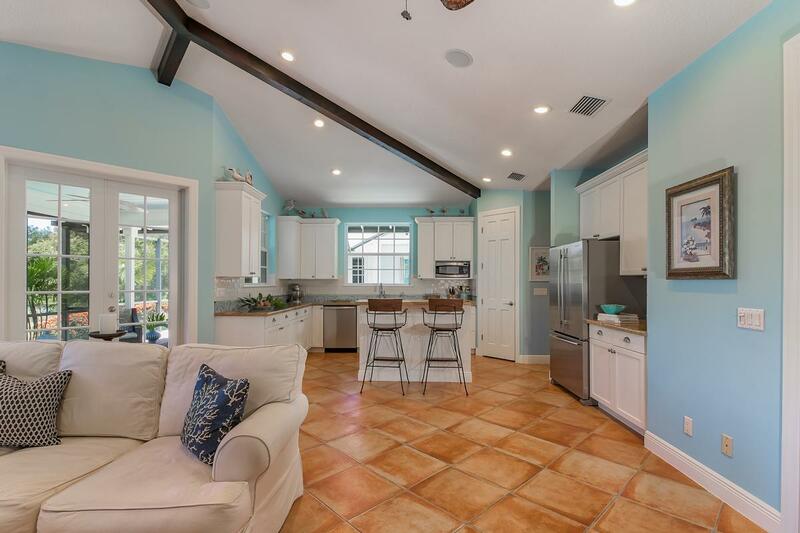 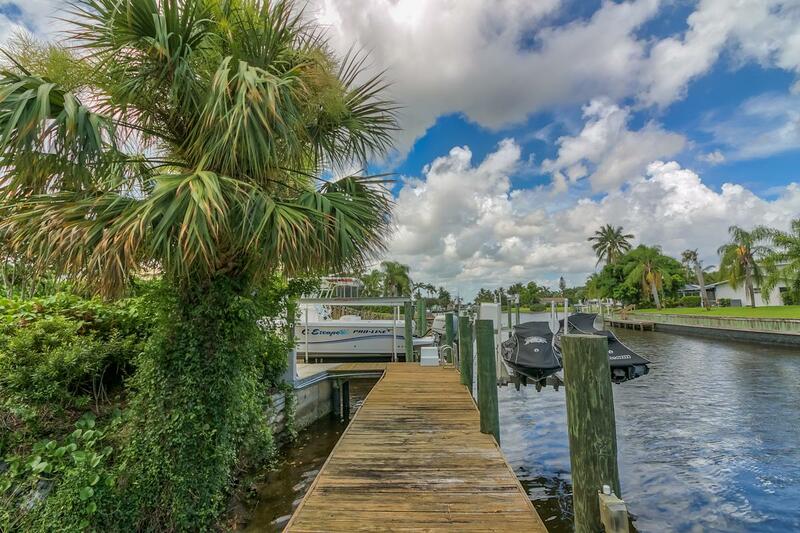 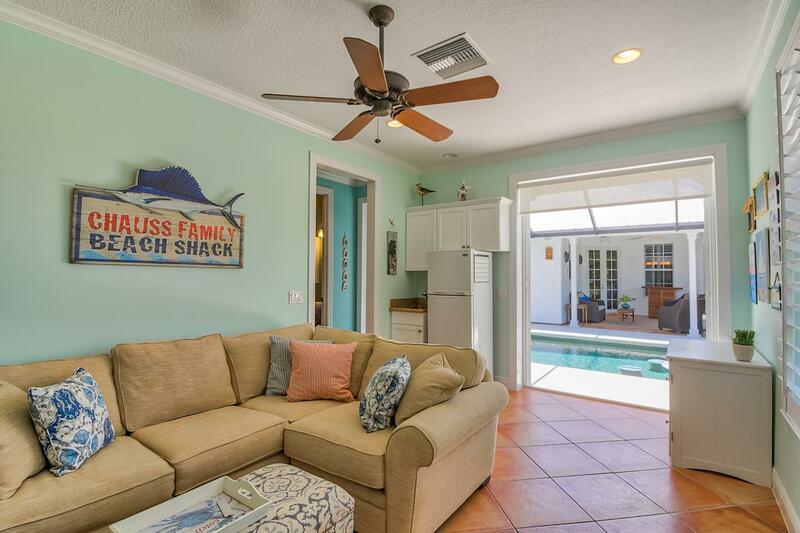 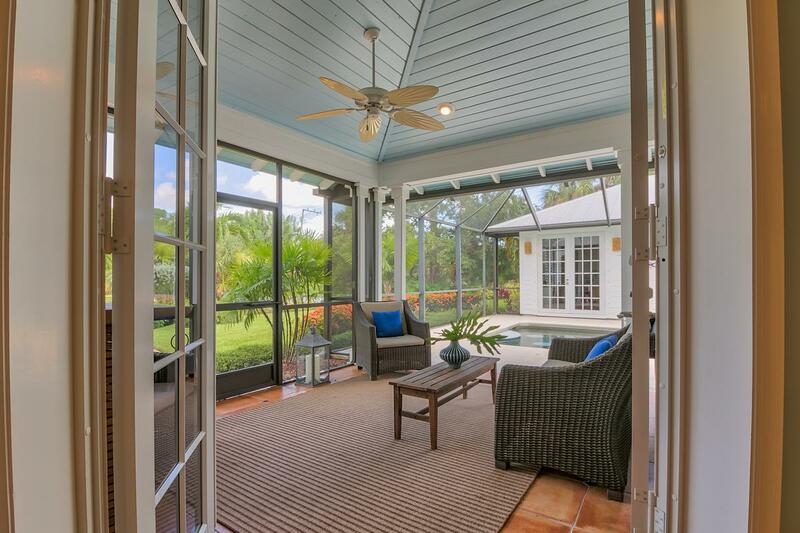 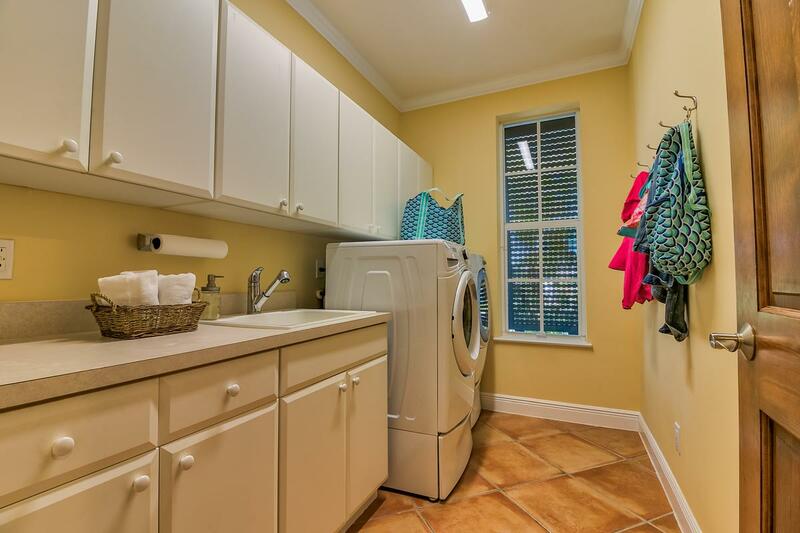 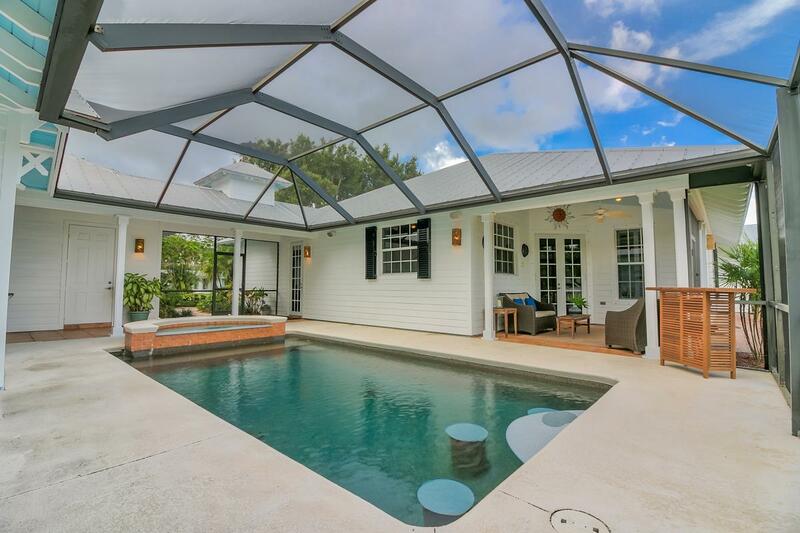 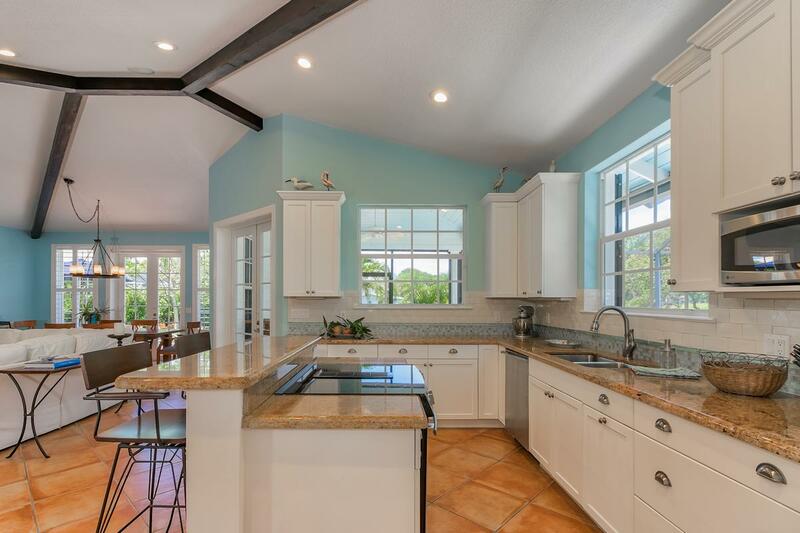 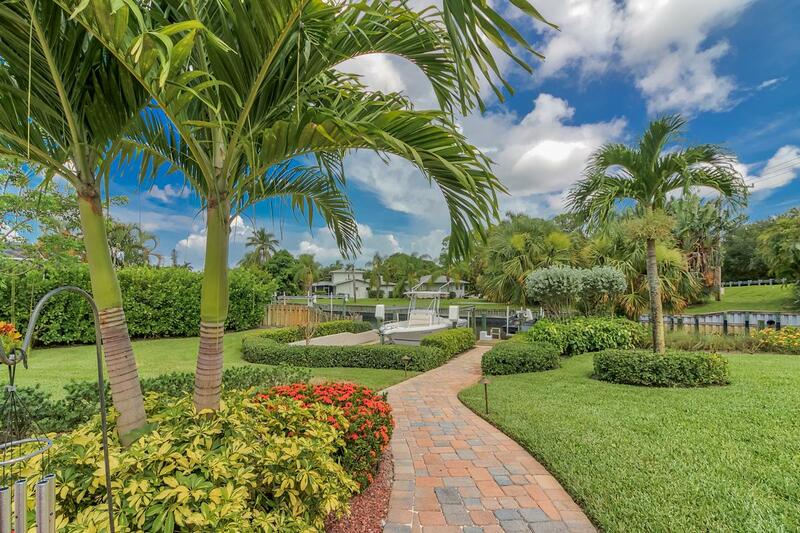 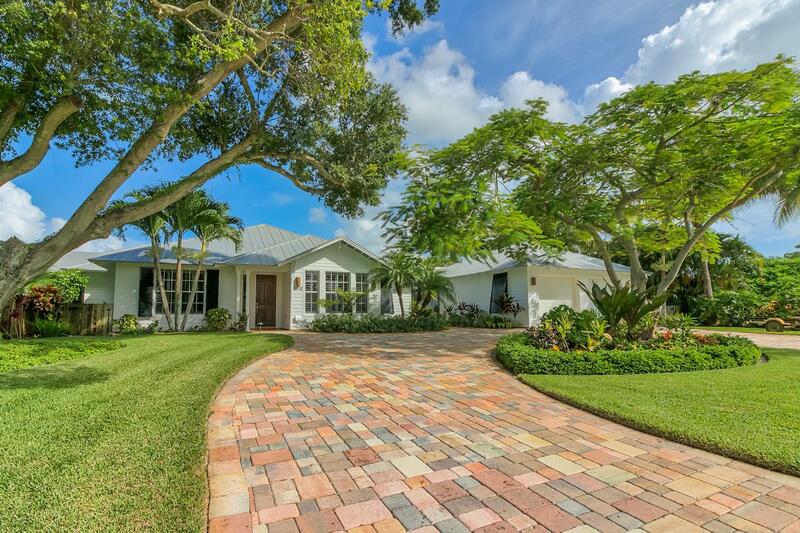 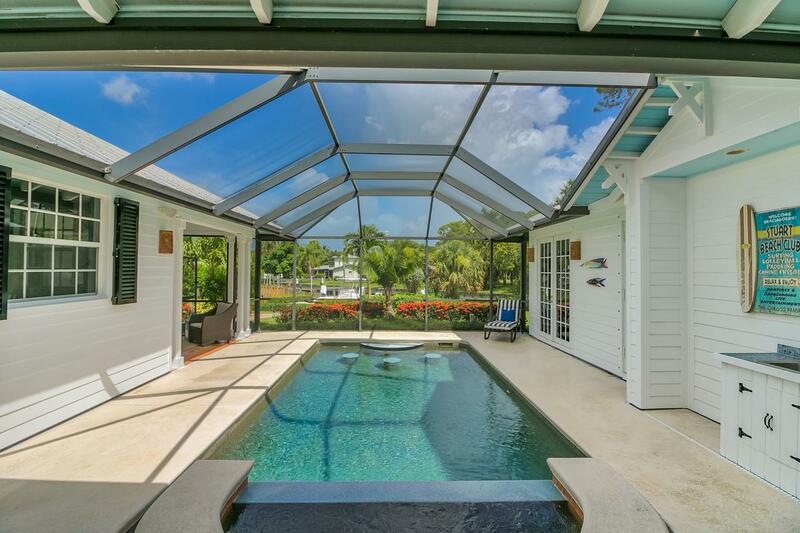 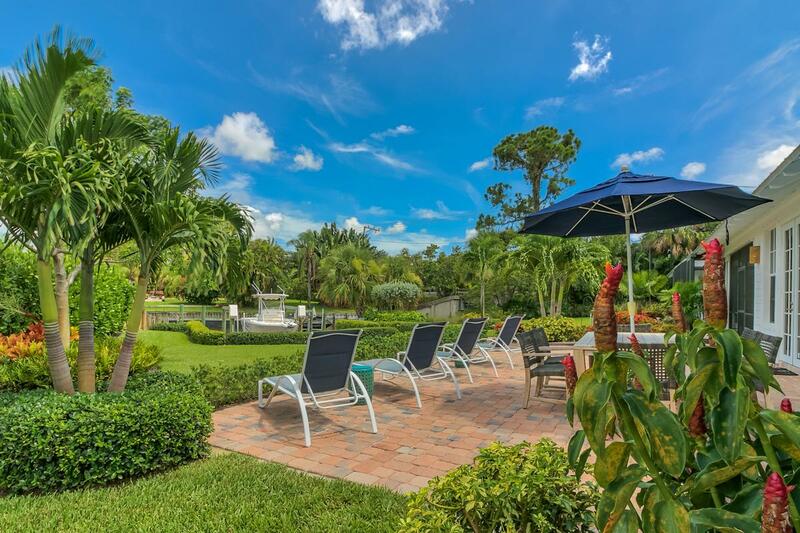 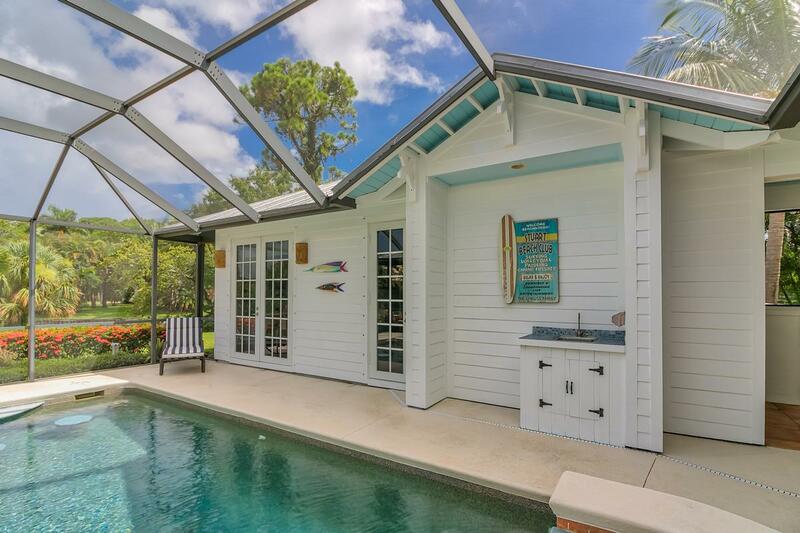 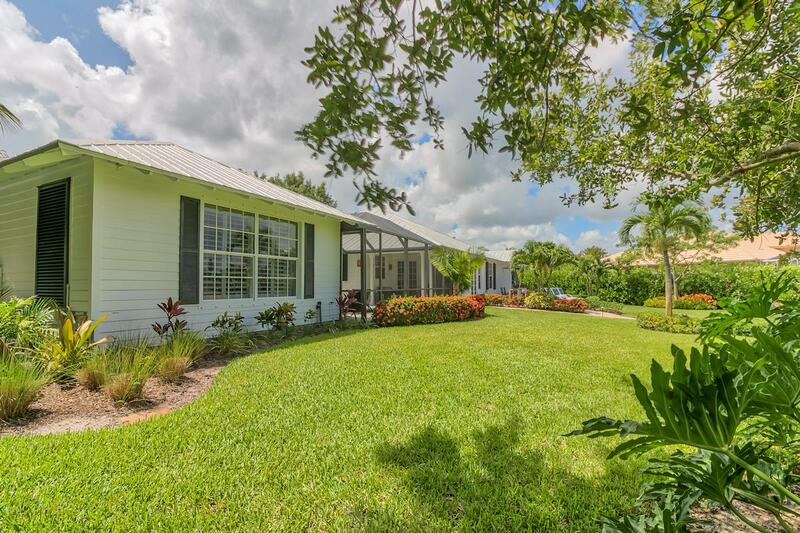 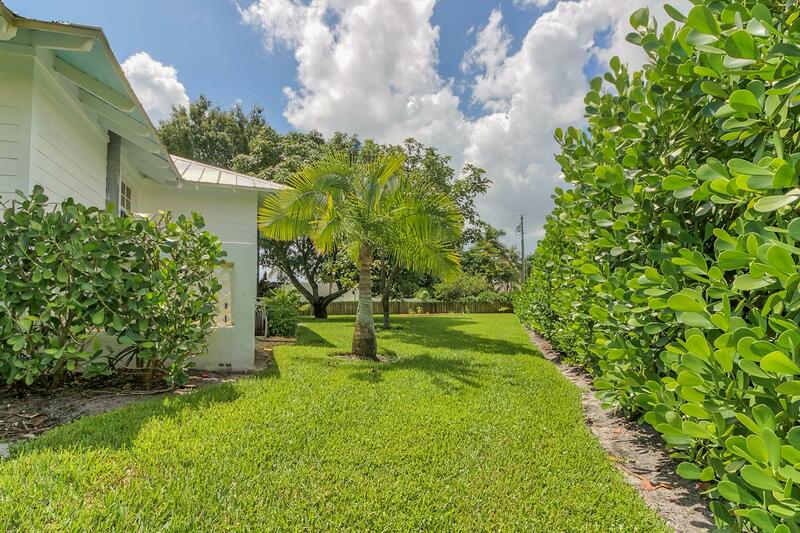 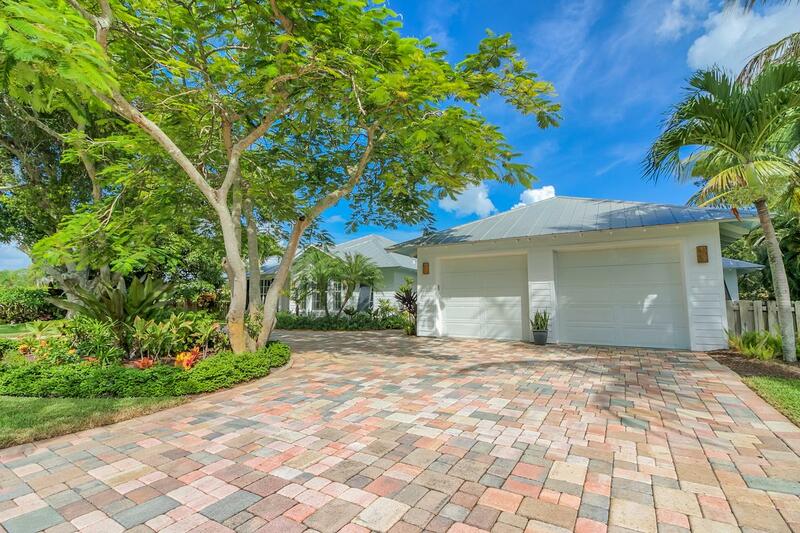 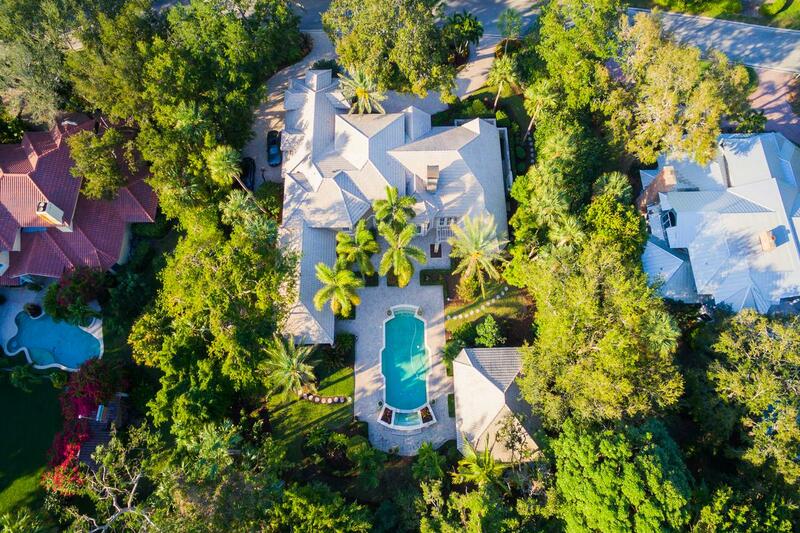 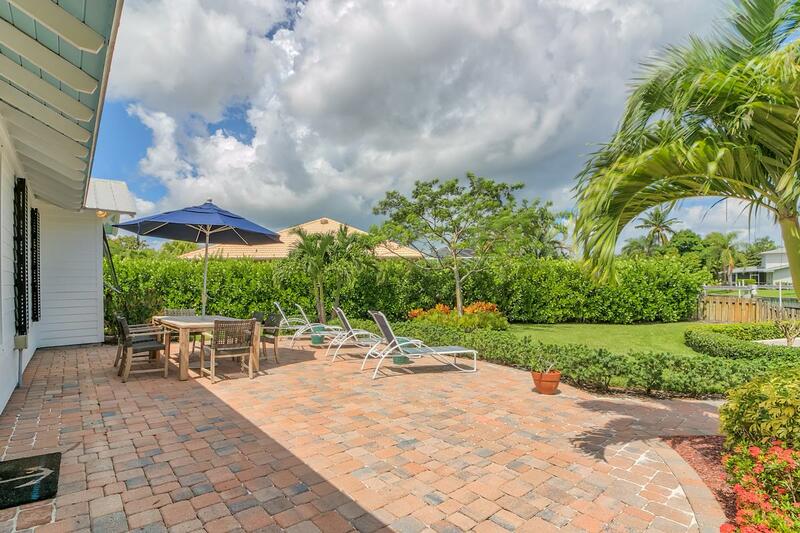 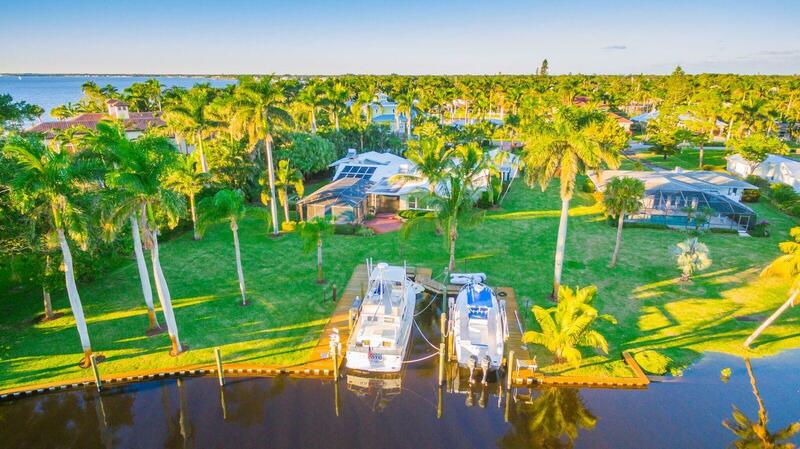 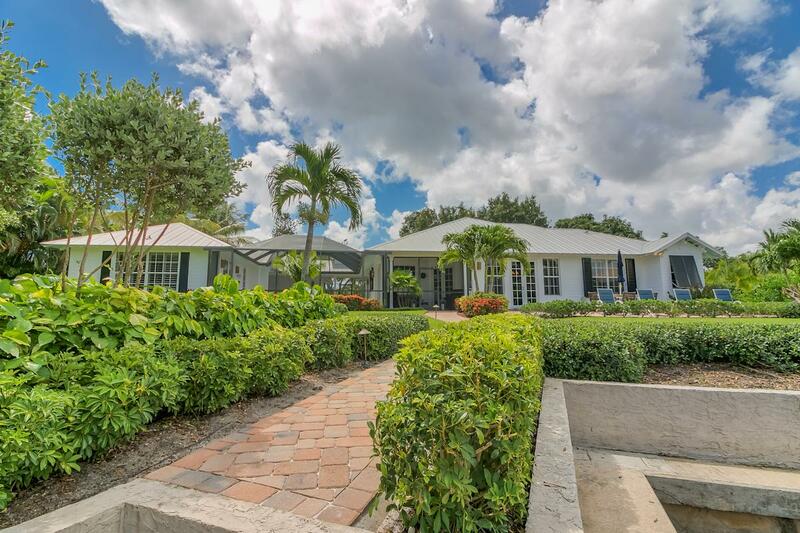 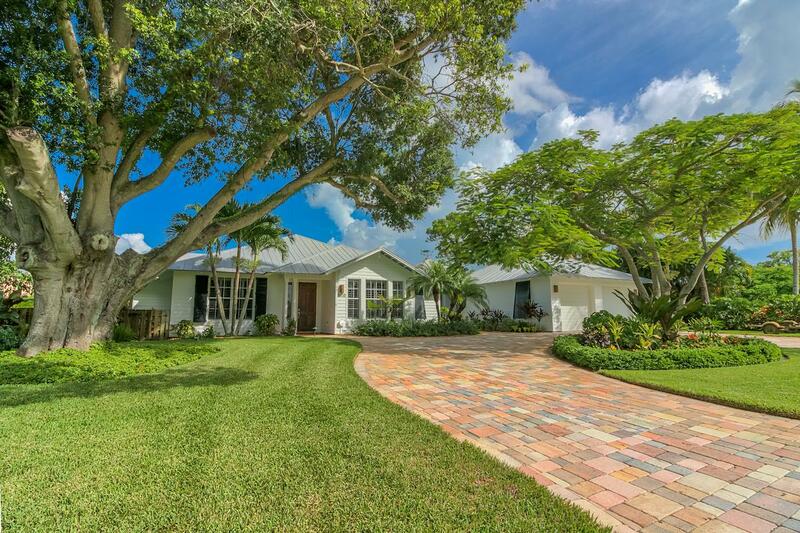 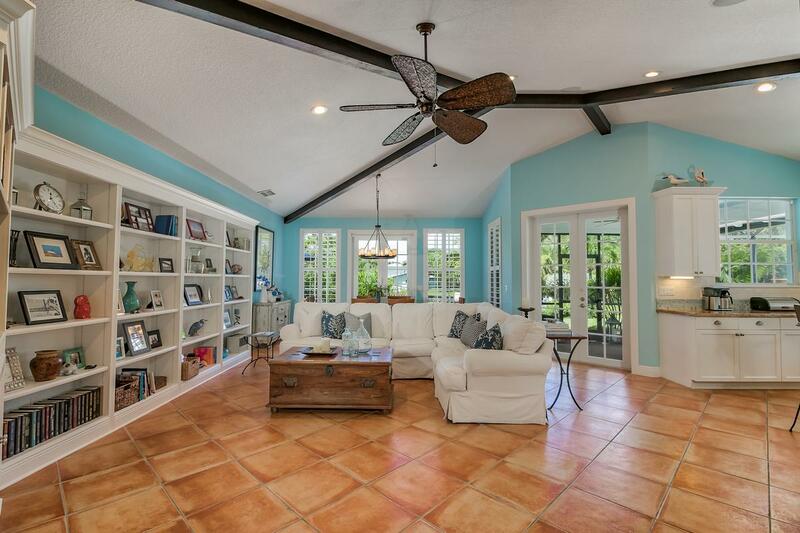 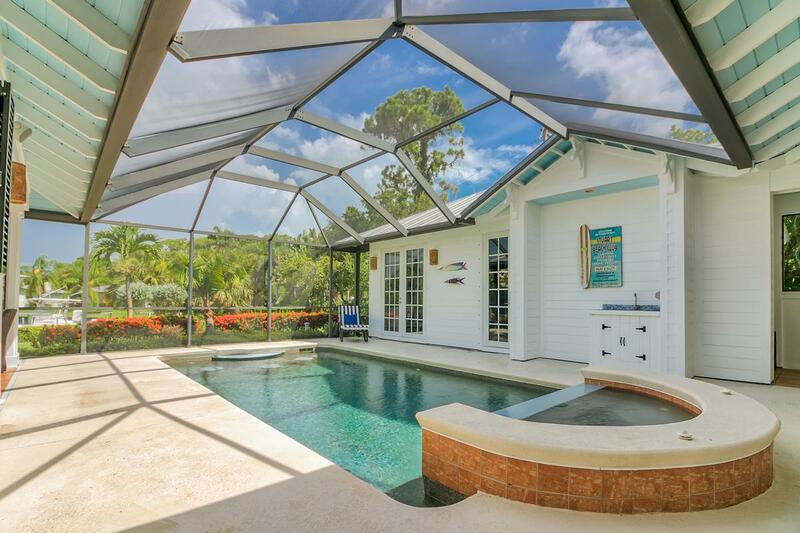 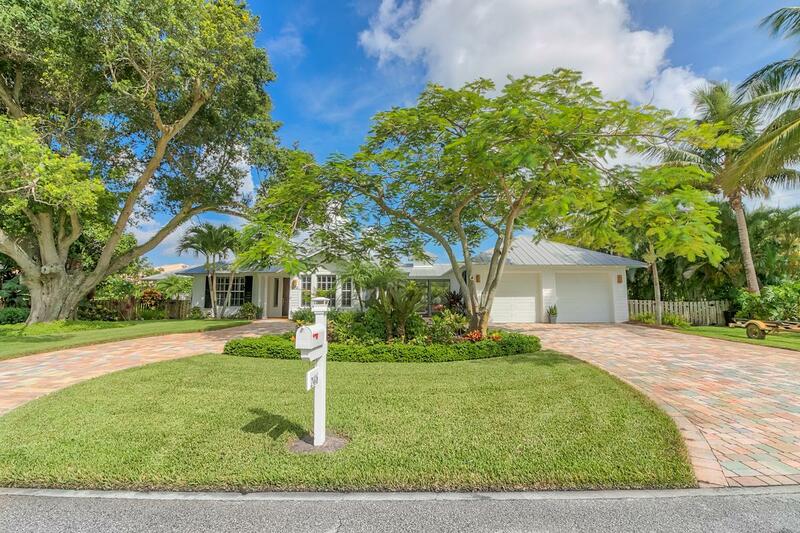 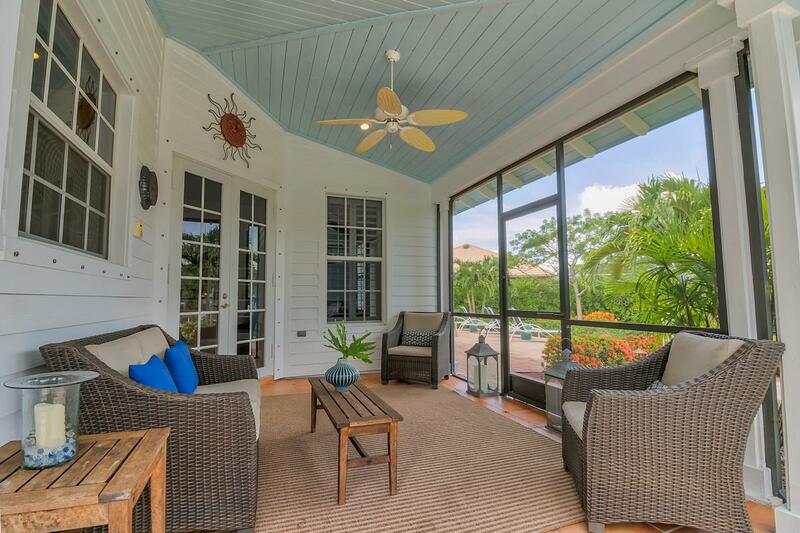 That dream home...the Key West-style enclave you have been waiting for is here. 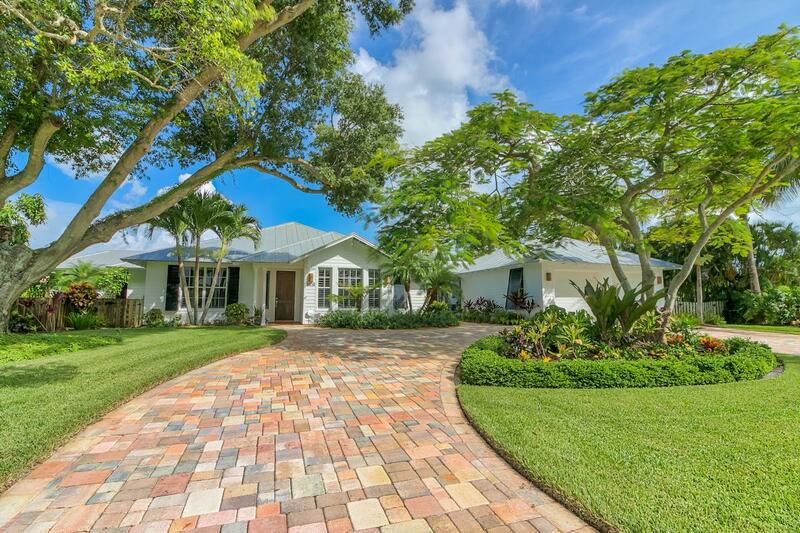 This is the home that everyone in the neighborhood knows and admires for it's beautiful exterior. 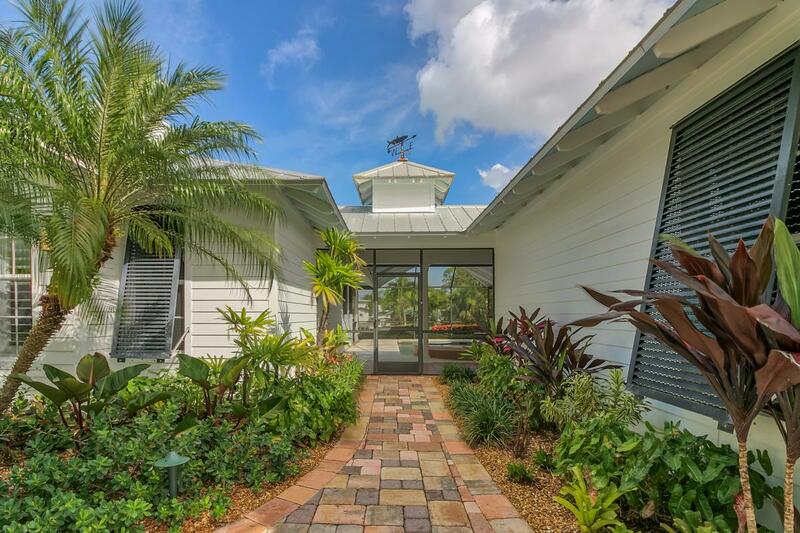 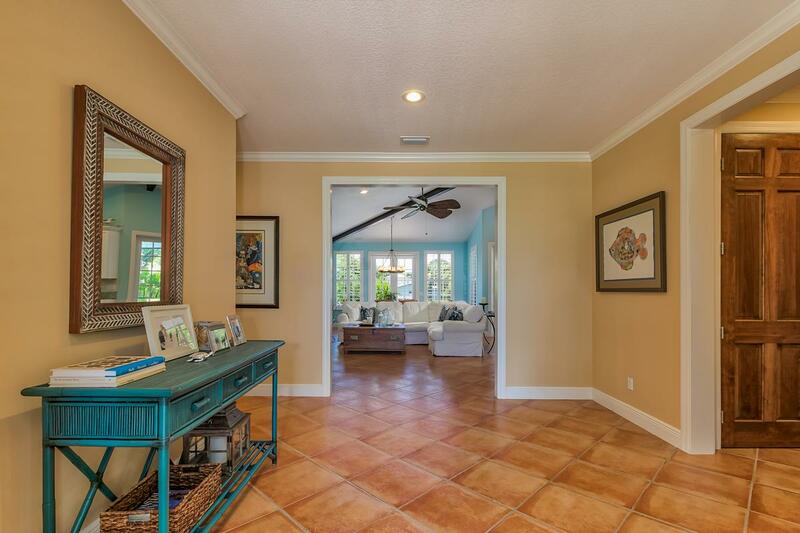 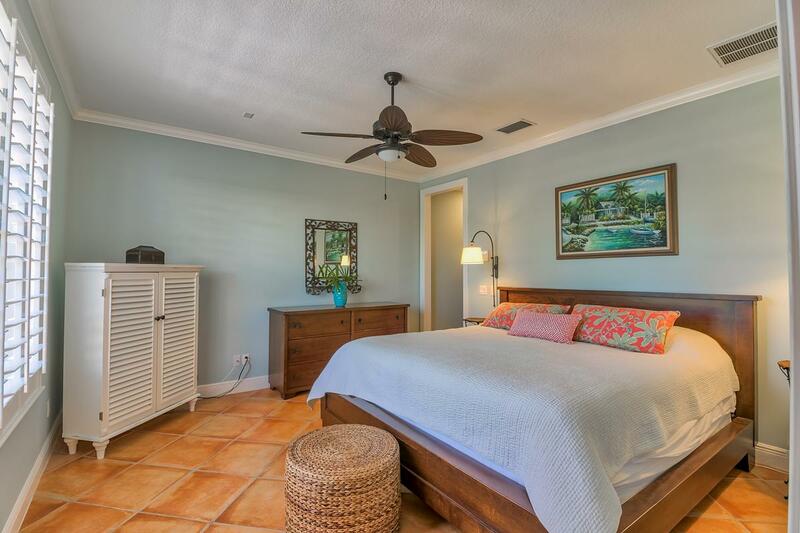 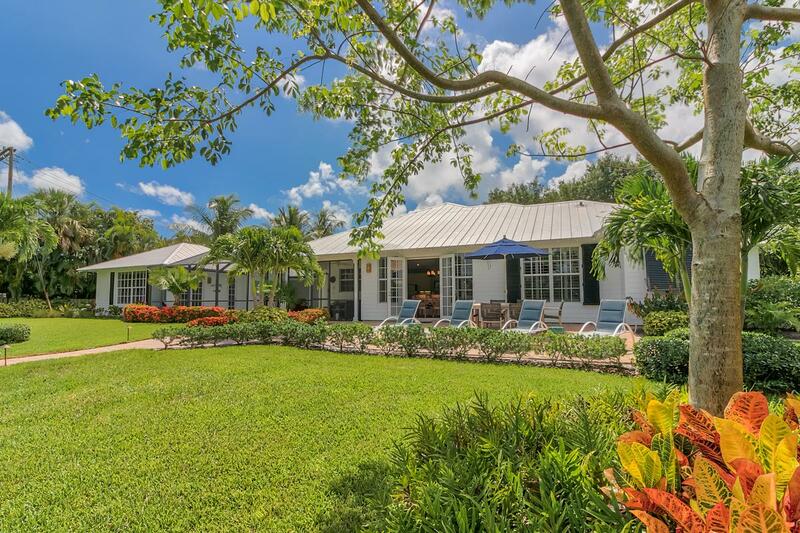 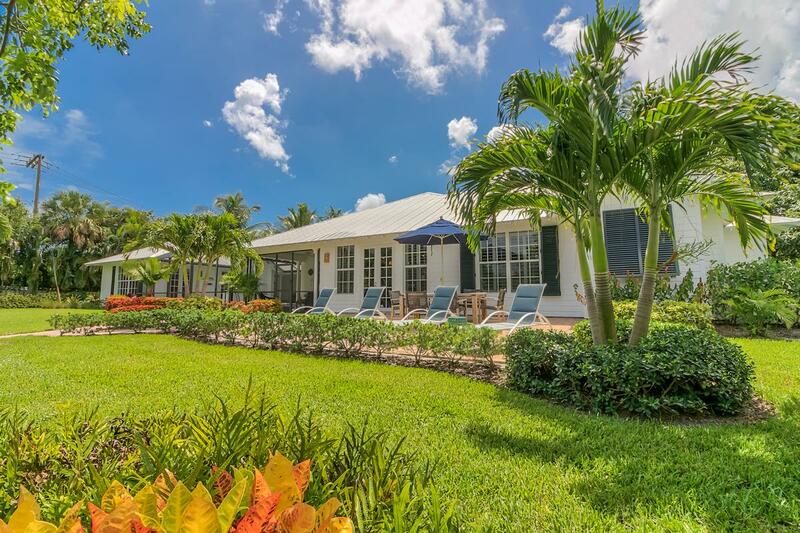 The total package - metal roof, Bahama shutters, white breezeway and woodwork with pale blue plank ceilings outside, circular driveway, private guest suite overlooking the salt pool/spa overlooking the dock and canal beyond. 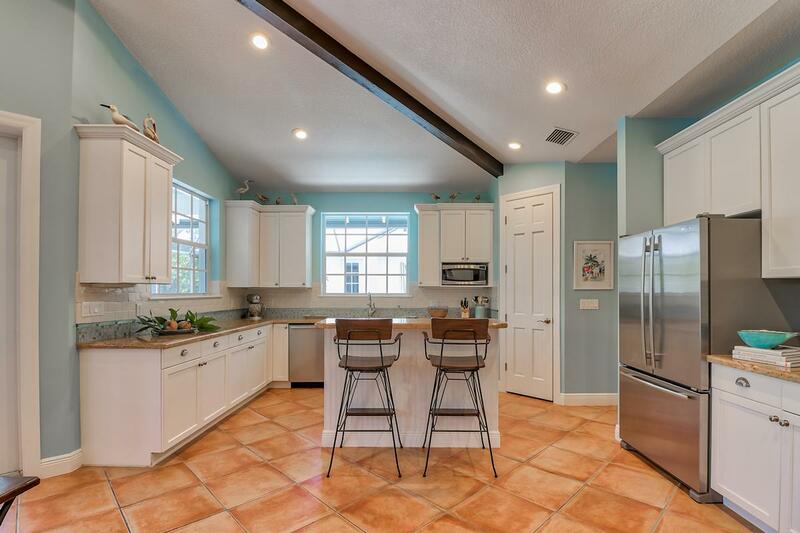 Kelly & Kelly did a great job with this one. 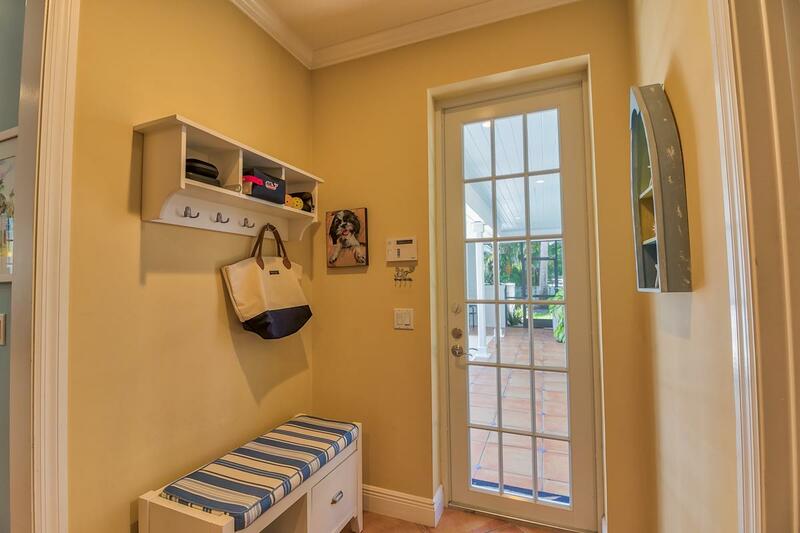 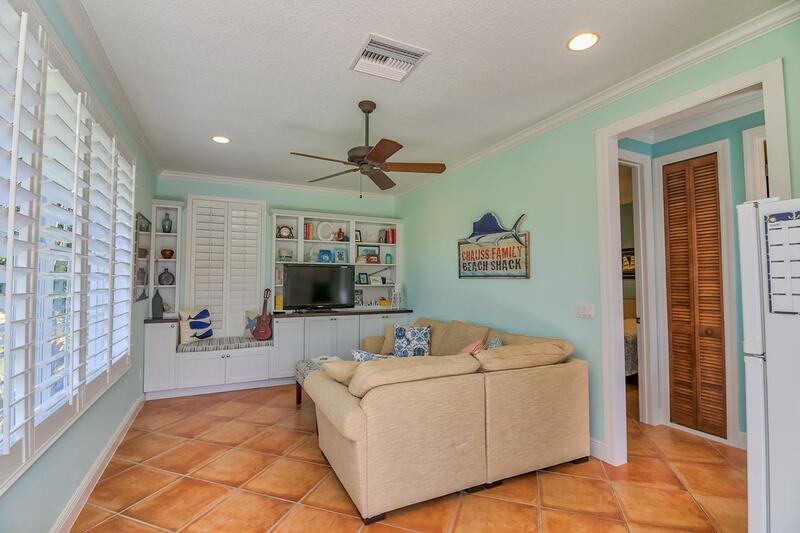 The inside matches the exterior as the home flows well and exudes cute coastal style. 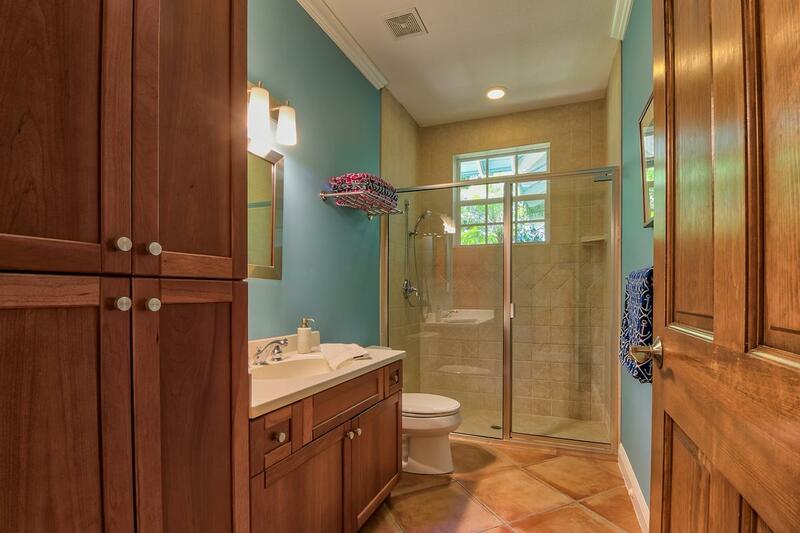 Custom cabinetry and millwork throughout. 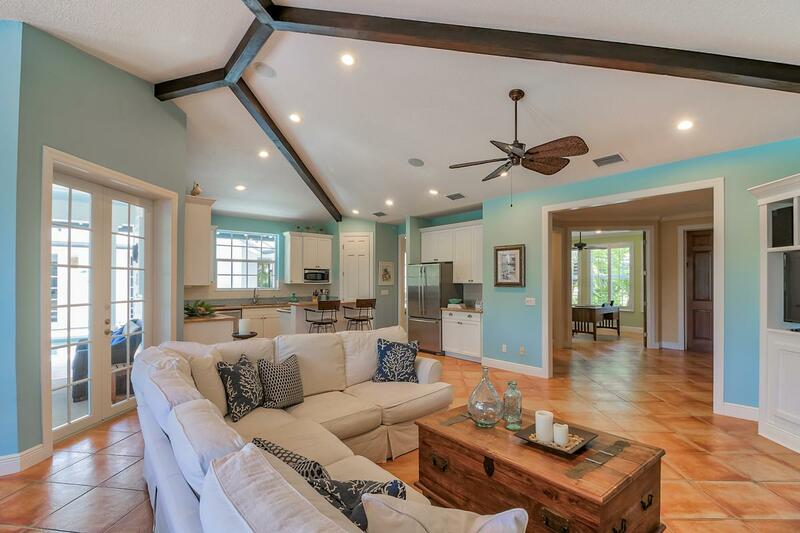 Abundant great room with ceiling beams, dining area with french doors opening to an al fresco patio for dining and sunbathing. 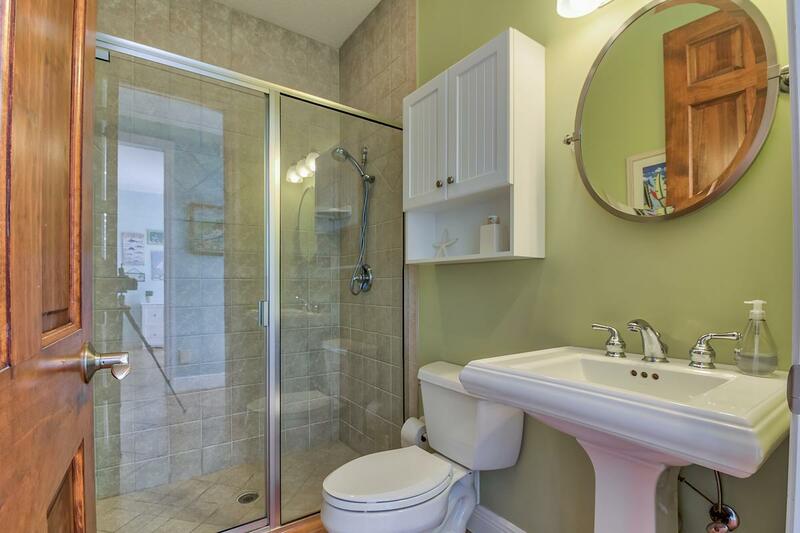 Privacy for all. 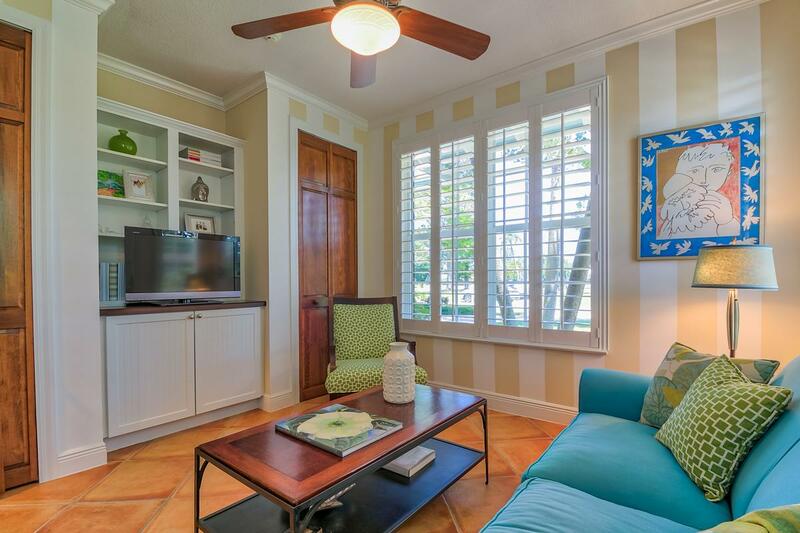 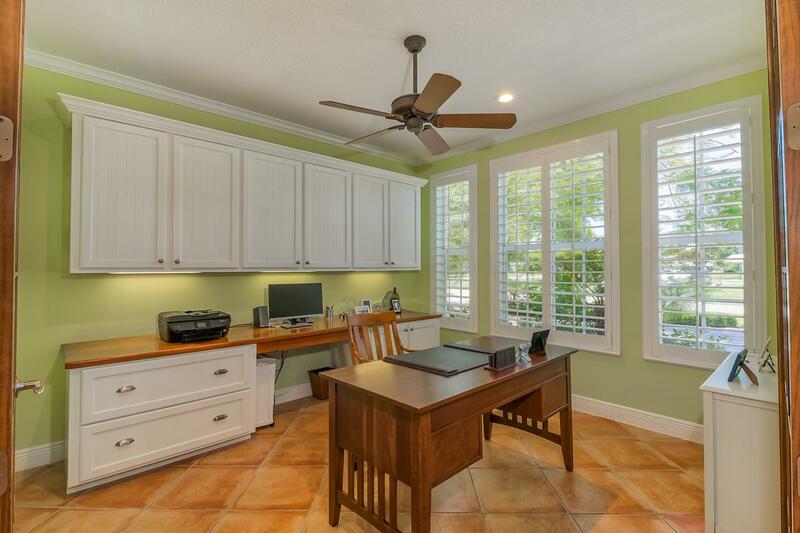 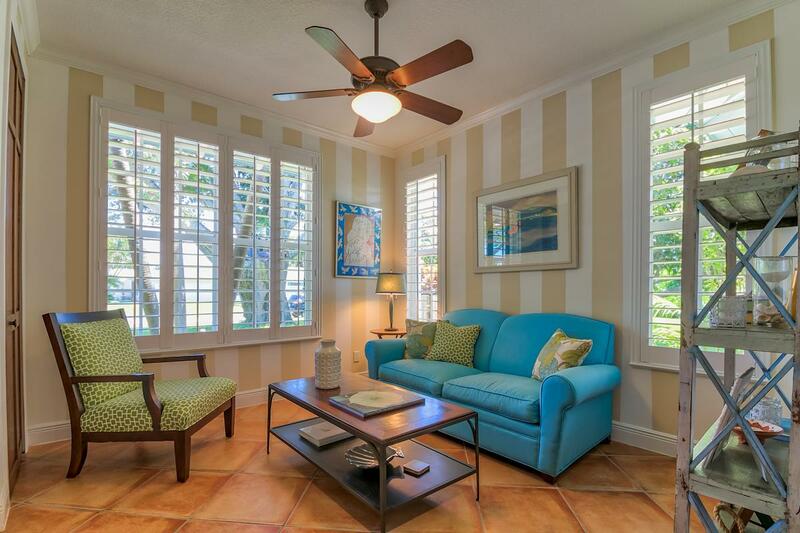 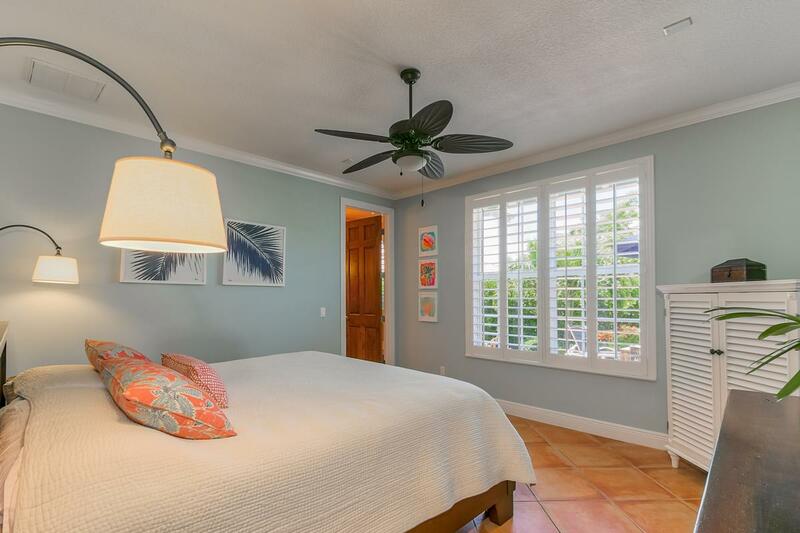 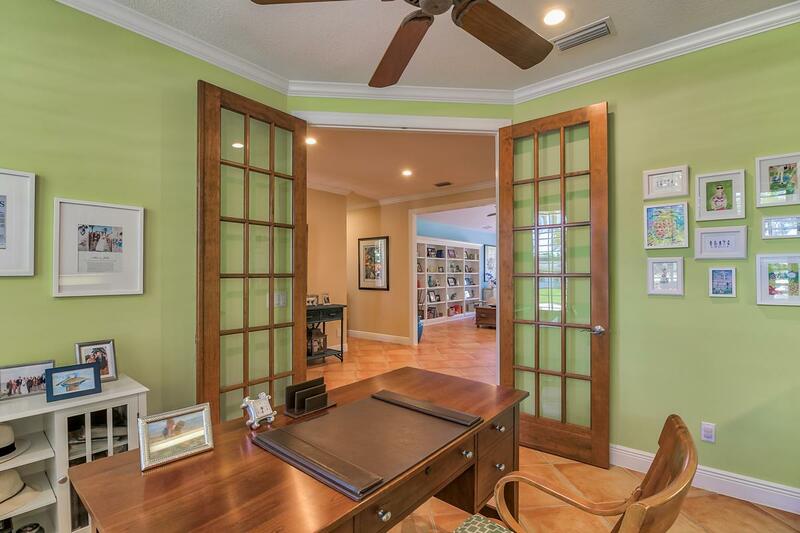 Plantation shutters, screened porch, lush half acre corner lot. 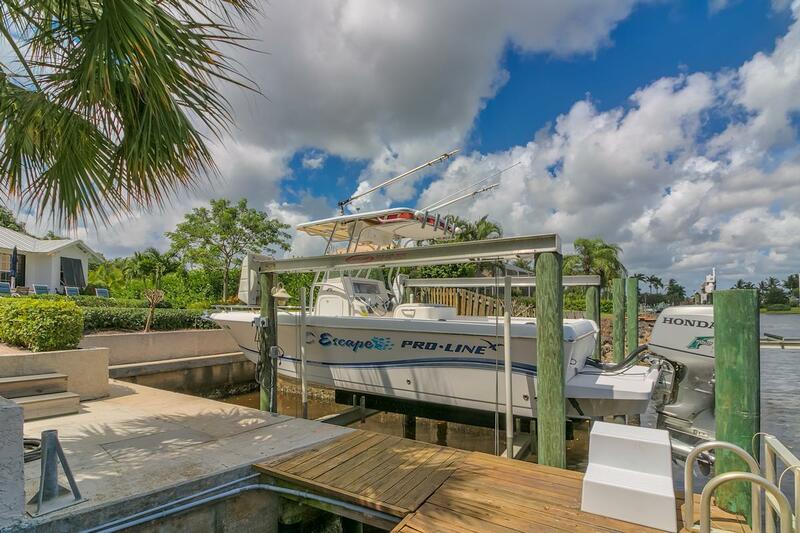 A short paver walkway takes you to the sturdy dock with protected harbor for one vessel (about 40 ft.) 50 amp service and 10# boat lift. 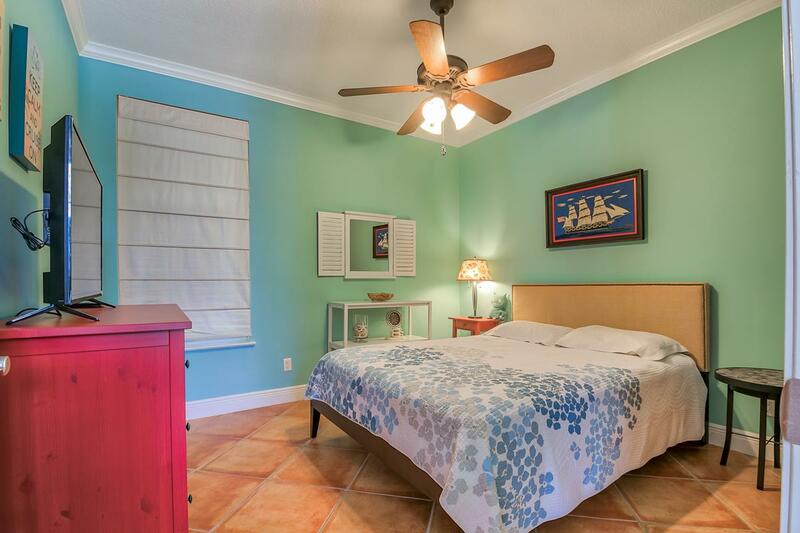 A charming coastal retreat awaits.